If you’re living in an apartment that you would like to keep clean and hairless, and you might even be allergic to dogs, so there’s no point in even thinking about getting a dog, right? Wrong! Just because you’re not a fan of cleaning up hair after a dog or have a dog allergy doesn’t mean you can’t enjoy being a dog owner! Read more and discover 30 small hypoallergenic breeds that don’t shed and could be the perfect companion for you. Being a dog owner is wonderful. However, not all aspects of it are equally nice, such as cleaning up your dog’s hair in your apartment. But who says you can’t have your cake and eat it too? While it may be true in some other other categories, it doesn’t have to be the case when it comes to this! 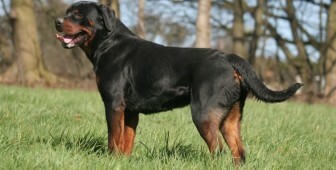 Check out these breeds and see for yourself. The name of this breed literally means “monkey-like terrier” in German and is one of the oldest toy breeds. This cute, black dog is bold and curious and isn’t aware of its small size at all. 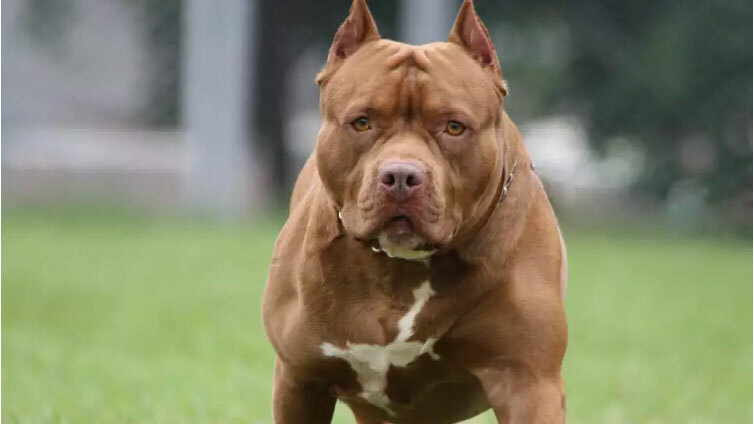 This is a very loving dog that cares for its family very much and is very protective of its family members. Being as fearless as he is, he won’t back down due to confrontation or if someone is being hostile to him. This can even end in an injury, either to him or the other dog. Thanks to these characteristics, the Affenpinscher is often called a “Rottweiler wannabe”. Apart from being alert, curious and stubborn, the Affenpinscher is also known for shedding very little. Its wiry coat sheds next to nothing and on top of that has no odor. Brushing is usually enough every few weeks, with a slicker brush and comb. 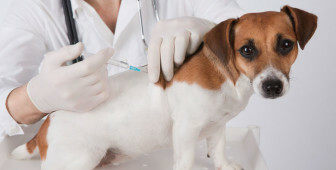 When it comes to its coat it’s also easy to maintain – it should be clipped every couple of months. This is definitely a dog with an interesting history. Images and paintings of the “Lion Dog”, as the name says in Chinese, can even be traced back to the 7th century! It descended from the oldest and smallest Tibetan holy dogs and was the favorite court dog during the Ming Dynasty. The Shih Tzu is a real family dog – loving, friendly, playful and loyal. He really loves people and enjoys spending time with its family. Giving and receiving love is part of being a Shih Tzu owner. He requires a lot of attention and love and is one of those dogs that hate being left alone. Besides the love and attention, this is an easy dog to maintain. It needs minimal exercise and it sheds very little, in spite of its long coat. It only needs to be brushed from time to time and clipped every couple months. This fluffy, white dog is the perfect family dog, but also the perfect pet if you live in an apartment! This is also the ideal breed for people with allergies. This breed is very playful and affectionate and loves spending time with its family. It wants to be around people as much as possible, so being home alone isn’t something Bichons enjoy for longer periods of time. It’s not too “outdoorsy” so playing inside is perfectly fine with Bichons – as long as you’re there and he can feel your love! Apart from being friendly and great with children, its non-existing shedding is one of the main reasons people who like it neat and tidy choose this breed for their apartment. The coat only needs to be brushed occasionally and clipped short every couple months for easy maintenance. This breed is more known under the name “Westie” and is also one of the most popular indoor dogs. Just like the Shih Tzu and the Bichon, it makes a great family dog that loves kids, but it’s much more active than these two breeds. The Westie is very playful, feisty and strong-willed. It seems that it’s very busy and always has something to do. 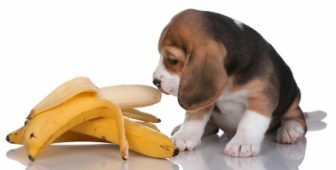 However, this can also be undesirable as it will do anything it can to entertain itself if it’s alone for too long, including chewing and barking noisily. He loves to be in the center of attention, more precisely the center of your life. But – he won’t be satisfied with just lying next to you. This is a very active breed that needs its walks regularly and would much rather play outside than resting inside. While being high-maintenance when it comes to exercise, Westies are very low-maintenance when it comes to grooming. They shed almost nothing and their coat only has to be brushed from time to time and clipped every few months. It’s believed that the Chinese Crested descended from the “African Hairless Terrier” when Chinese explorers discovered this breed and bred it to be smaller. As the name and the photo say this is almost a hairless breed and as expected the shedding is virtually non-existing. This interesting breed is very polite and gentle and it loves cuddling and snuggling. It needs to be around its family but can be suspicious toward strangers even if it’s well-mannered and sensible in general. The Chinese Crested loves children, as long as they remember it doesn’t have hair and that they have to be gentle with it. Because of its lack of hair, it will need a sweater during winter and a t-shirt during summer to avoid sunburn. Needless to say, it doesn’t shed at all and the hair only has to be brushed and trimmed occasionally. Maltese dog is probably most known for its little shedding traits. This ancient dog of Malta has been around humans for three millennia and hasn’t changed much ever since. They are great lap dogs for people with allergic and their long, white coats shed very little. However, in order to maintain his fur soft and silky, their owners have to brush them regularly. Maltese Terriers are great dogs for families with children as these toy breeds enjoy every contact with humans. They are very playful and love to be around people. Brussels Griffon is also known as Griffon Bruxellois. It is a toy breed that is named after its city of origin, Brussels. A Brussels Griffon comes in four colors, varying from red, nuances of brown, tan and black. 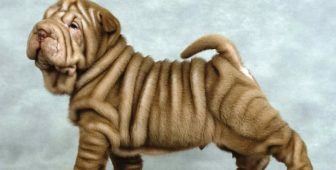 They can have smooth or rough coats, but however, they come they are still hypoallergenic dogs that are allergy friendly. They are also nicknamed “bearded dogs” for their funny whiskers and muzzle. They have this cute and funny appearance that will provide you with years of love and laughter. The Brussels Griffons are very sociable and are very easily trained. Little Griffs love playing with their dog owners and are very energetic. 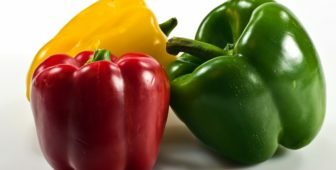 However, they might not be the perfect choice for households with little children. They are very sensitive and do not handle well rough play. Havanese dog is also known as Havanese bichon, and as you can guess it’s a national dog of Cuba. This dog was bred as a companion dog for Cuban aristocracy in the 1800s and he has also been nicknamed ‘Velcro dog’ for his strong attachment to his owner’s side. This small breed will provide you with a lot of moments of joy thanks to their playful and sociable nature. Havanese dogs can come in different colors. They can be completely white, white and black, or even brown or grey. Their coat is hypoallergenic, smooth and can be very long. They shed very little, but require regular grooming as well as frequent bathing. However, this dog does not tolerate being alone and can often suffer from separation anxiety. So if you’re a busy person that would have to be away from home for more than 6 hours, better find a dog that is able to enjoy some time alone. Scottish Terrier dogs are excellent watchdogs. They usually have an independent character and can sometimes be stubborn. They are very intelligent and their serious attitude will be a great source of laughter for years. He is a perfect walking companion, but he doesn’t really enjoy running. So, don’t expect him to go jogging with you. It’s their short legs to blame! They also have a passion for digging, so don’t get surprised if he suddenly finds it interesting to dig holes in the park or your yard. 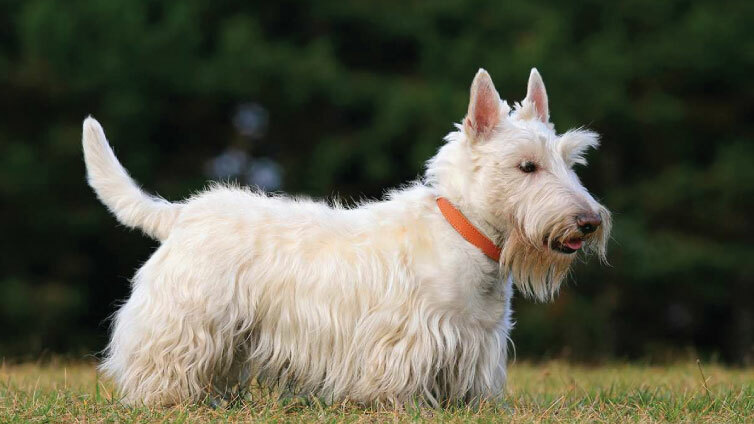 Scottish Terriers can be black, grey, brindle, or wheaten in color, and their coat is composed of two layers. The topcoat is rather hard and wiry, while the undercoat is soft and dense. They don’t shed much but require a significant amount of grooming. Border Terriers were primarily bred to assist in foxhunts, so they still have the drive to hunt. Because they needed to keep up with hunters on horseback, they are very energetic. So do not fall for their small size, these dogs really love to spend their time outside and to get a lot of exercise. However, they have a really good nature and are very loyal, loving and fearless. But, these dogs are not for everyone, as they can be pretty aggravating. Border Terriers’ coat is rather rough and needs regular brushing. They don’t shed much, but these terriers definitely need periodic stripping too. You’ll have to remove the dead hair by hand or with a stripping tool. If this dog seems anyhow familiar to you, it might be because you have seen the movie The Wizard of Oz. Toto dog that appears in the legendary movie is a Cairn Terrier! These small and sturdy dogs are very intelligent and independent. Cairn Terriers are always alert and ready for action! Their curious nature makes them constant explorers that learn quickly. 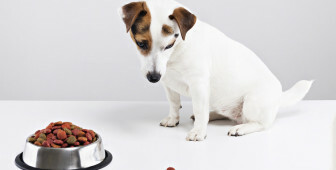 Like all terriers, they can be stubborn so early training and socialization are crucial. 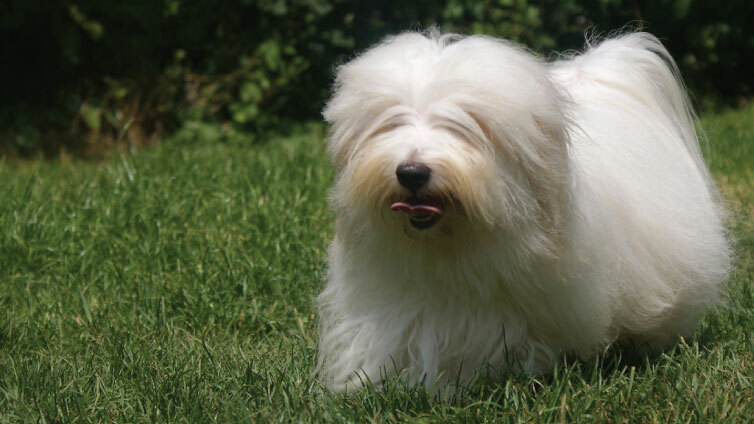 Cairns also have a double coat, a wiry, shaggy top coat, and a soft undercoat. Grooming the coat of a Cairn is very easy as they do not shed a lot. A weekly brushing might be more than enough. The Australian Silky Terrier is also known as Silky Terrier, and as you can probably guess from his name, he was bred in Australia. However, his ancestry comes from Great Britain. This short-legged terrier is a small breed that loves being outdoors. A Silky Terrier is active and alert. These dogs are slightly longer than tall and are not really good runners due to their physical stature. 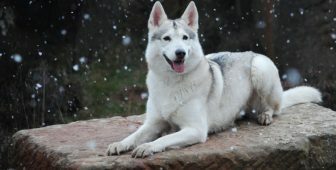 His coat is long, and silky, and can come in different colors such as white, blue, grey or tan. Their hair is flat, fine and glossy and behaves much like human hair. 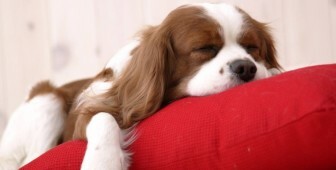 They are highly spirited pets that like moderate daily exercise. However, due to the conditions of their homeland, these puppies do not handle cold weather well. The Bedlington Terrier is a small to medium-sized breed named after a town in North East England. They were originally called Rothbury or Rodbury Terrier. These pups were bred to hunt vermin but were also used in dog racing and numerous dog sports. The Bedlington Terrier has a really specific appearance which makes him one of the best fashionistas in the dog breed world. Their human loving personality makes them great companion dogs for big families with children. They are very popular with people with allergic due to their hypoallergenic fur. 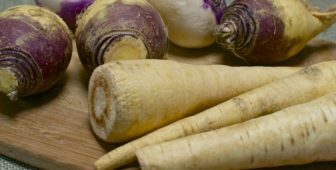 Their coat is curly and often has a crisp texture with topknots. They shed very little and are therefore allergy friendly dogs. This small dog breed comes from the city of Bologna in Italy. It is a small and serene dog. They are not very active dogs and they prefer to stay by his owner’s side. Being so attached to his people, the Bolognese can easily be affected with separation anxiety. Sometimes Bolognese dogs can be shy towards new people. But will adapt easily to strangers with proper, early socialization. These pups are among noble breeds that were popular among royals even during Roman times. In wealthy circles, Bolognese were given as precious gifts. This small and cuddly dog breed is known for having a fun and active personality. Coton de Tulear is a smart dog that will always enjoy making you laugh. Coton de Tulear is a dog breed originated in Madagascar and is related to the Maltese and the Bichon Frise. His cottony, soft coat is hypoallergenic and therefore these loving puppies can be owned by people with allergies. They are very smart, and will even try to answer you back in their own particular way when talked to. Coton de Tulears will be perfect companion dogs that will always stay by your side. Yorkies are among the most popular toy dog breeds in the U.S. They are known for their devotion to their owners and their great suitability to apartment living. These small Terrier dogs were developed during the 19th century in Yorkshire, England. Originally, they were bred to catch rats. These tiny dogs can be quite yappy if they are not trained on time. 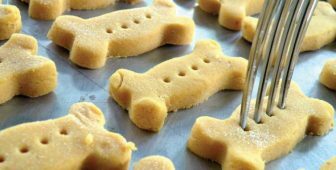 Their owners should give them enough attention and affection in order to train them well and control their barking habits. Yorkies have soft coats that almost don’t shed at all, so regular grooming will keep your home hairfree. Yorkies can be quite jealous and react badly to strangers or other dogs. They do not make perfect companions for families with children. 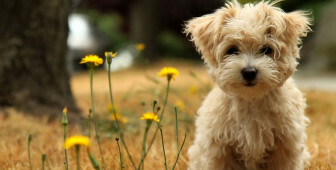 Poodles in general, but especially toy poodles, are among the most suitable dogs for apartments. The toy poodle is just like a regular poodle but only in a much smaller package. They have all the amazing traits poodles are known for. Their fur is little-to-no-shedding, they are extremely intelligent and have an elegant appearance. What else could you ask from a dog? Toy poodles will be perfect companions to just any type of person. They love being challenged mentally and physically, so just provide them with enough adventure in-house and outdoors and they will be the nicest pet there is. What does the Schnauzer actually mean? Well, schnauze means muzzle in German. The muzzle in Schnauzer is so particular in this dog breed that it had to be named after it! They definitely have an unmistakable look, but what’s also great is that Schnauzers also come in miniature size! Because they are so people-oriented, this small breed will be a perfect companion dog and will follow you wherever you go. They almost don’t shed at all and their fur is hypoallergenic. That’s why mini Schnauzers make one of the best choices for people that live in apartments. Lhasa Apso are great dogs for apartment living. They can do just fine without a yard and will enjoy being active inside their home. 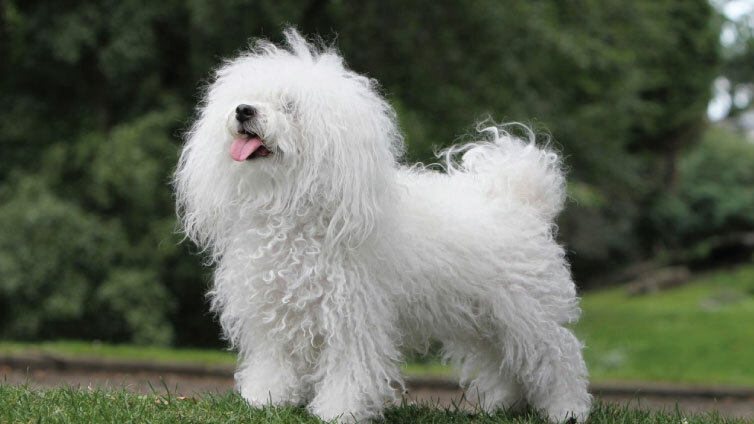 They shed slightly more than other hypoallergenic dog breeds, which is why some even doubt their hypoallergenic trait. However, they should not cause allergic reactions. Lhasa Apsos are a friendly dog breed that will be loyal to their owner throughout their entire lifespan. They are also very alert and will make a good apartment watchdog. His lively nature will make him a great company for all those lazy nights, as he will entertain you with his intelligent games. Although they are a steady dog, they are easily trained. Biewer Terriers are among the most loveable of all small dog breeds. They are known for their charming personality. The Biewer Terrier is a longhaired and tri-colored toy breed that always manages to surprise their owners with how much love they are ready to give. They love playing with toys, so you might see them carrying around a couple of their favorite toys in seek of playing time with their owners. But these toy terriers also love spending their time outdoors. They are always in seek of adventures and will always respond well to any activity their owner suggests. Even if their coat is hypoallergenic, it still requires daily brushing, which is the least you could do for this loving pup. Biewer terriers are also quite devoted to their owners, so they do not enjoy spending a lot of time alone. You could recognize a Dandie Dinmont Terrier easily thanks to his large head covered with afro shaped hair. Their big, round eyes are always full of expression and their short legs combined with a long torso make them look comical when they run. Their coat usually comes in nuances of two colors: gray and mustard. It is also not very prone to shedding which is why it is suitable for apartment living. They make perfect cuddling buddies and are not as energetic as some other small breeds. They are generally more independent than other dogs of their size due to their Terrier traits. Dandies are intelligent and are great watchdogs. The best way to get results in training a Dandie is by having a positive and motivational approach. Physical hallmarks of the Dandie Dinmont Terrier include a large head covered with profuse, silky white hair; long, hanging ears tipped with feathering and coming almost to a point; big, round eyes full of brightness and expression; and a long, low torso and short legs. The crisp body coat comes in two spicy colors: pepper (bluish black to silvery gray) and mustard (reddish brown to pale fawn). Basenji is also known as a Barkless dog from Africa. What makes Basenji different is his short coat combined with a small, muscular body and his wrinkled brow. They are very alert dogs that can be pretty stubborn at times. Stubbornness is usually a trait intelligent dogs have, so this is also true for Basenjis. They are very smart and have a unique temperament, not every owner might be ready for. They love to spend their time outdoors and are great companions for any sports activity you might want to have. Basenjis barely shed at all, and their coat is hypoallergenic. So, if you’re an outdoors person that loves a dog with an attitude, Basenji might be the perfect choice for you. Being a hairless dog, it’s no wonder why Xoloitzcuintli is found on this list. They are great for people with allergies, as they obviously won’t shed or make anyone sneeze from their hair. These dogs are the ancient Aztec dog of the gods and have been around for 3,000 years. Xolos come in three sizes: toy, miniature, and standard. 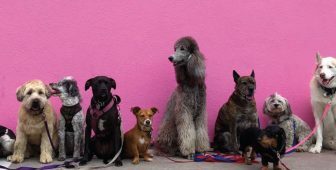 If you have always wanted a hairless dog, with Xoloitzcuintli, you can surely find the right fit for you, as the height of this breed is very flexible. Today, they are known for being loving companions and alert watchdogs. They are very loyal to their owner and like to have moderate amounts of exercise. Don’t get fooled by their calm behavior inside the house, Xolos really enjoy long walks and dynamic times outdoors. The Peruvian Inca Orchid is a dog breed that in a lot of their traits resembles a whippet. They make excellent companions and are very easy to live with. Peruvian Inca Orchids, also called PIOs, have an athlete, agile body and require enough of active time. They are born hairless, and usually, have pink or black skin with some freckles at birth. With time, their freckles will get bigger and more numerous. Although you won’t have to worry about grooming when choosing a PIO, their skin requires regular care. A sunscreen that is suited for dogs will be required on sunny days, as well as cleaning their skin with a warm, damp cloth every few days. Sometimes PIOs can also have some sparse hair on their body, but they will most likely have a fuzzy tuft of hair in between their ears. Italian Greyhounds used to be favorite dogs of noblewomen in the Middle Ages. So if you think you might have seen an old portrait that included this dog breed, then you’re not wrong. They have been painted quite often by famous artists, especially in Italy. The Italian Greyhound is an elegant dog that is the smallest of the hounds. Hounds are bred mostly to hunt by sight and chase the prey. So, this pup will only be happy if having enough time to run and exercise. You would be surprised how fast an Italian Greyhound can be. They can also be amazing lap dogs that will enjoy cuddling with their owners. Their loving and affectionate personality will make them perfect companion dogs, but still, they often become shy when surrounded by strangers. Italian Greyhound’s coat is very short and smooth and requires very little grooming. The Norwich Terrier was originally bred for hunting vermin and foxes, so seeing this dog hunt for insects is not something to be surprised of. 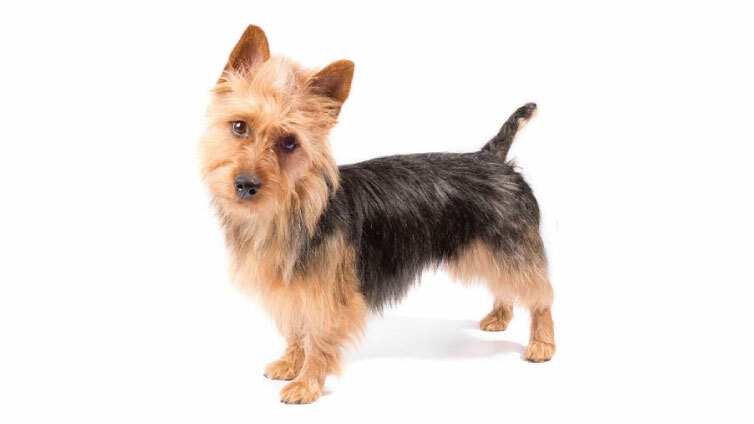 This breed is also one of the smallest Terriers and resembles quite a lot the Norfolk Terrier. 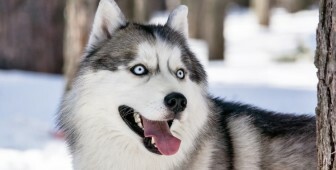 Their fur is composed of two coats: a hard and straight topcoat and a soft undercoat. Their hair is a bit longer on the neck and the shoulders while being short on the rest of his head. They don’t shed much but will require weekly brushing. The Norwich is a courageous dog that loves chasing small animals and running around. He is also a great watchdog that will always make sure their owner is safe. Whether you have a large family or not, a Norwich will fit easily into any household environment. The Australian Terrier is a small terrier with a rough coat. But even though the Australian terrier is small in size, he still has a big personality. 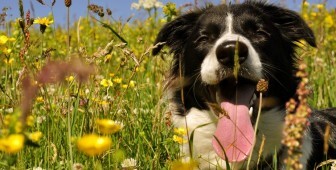 The Aussie is a very active dog that will often behave silly in order to make his owners laugh. He is a great companion for little kids, the elderly an also he disabled. coat is very easy to groom as they shed minimally. At first sight, The Norfolk Terrier might look exactly like the Norwich Terrier. Although they are terrier siblings, the Norfolk terrier is slightly longer than it is tall and has folded ears. What makes these two breeds similar is that they are both very active and love to hunt vermin and small animals. A Norfolk has a hardy, wiry coat that protects him of any kind of weather. The shedding amount of a Norfolk is very small, so this cute pup will be a perfect match for people that don’t want to deal with a lot of hair in their homes. We have yet another hunter on this list: the Sealyham Terrier. They were originally bred to hunt otters, foxes, and badgers, but today they are really great, funny pets that make perfect companion dogs. He is definitely one of the most distinctive-looking terriers out there and they are highly spirited. The Sealyham Terrier was bred in Wales and were once considered one of the most popular terrier breeds. Unfortunately, today they are one of Great Britain’s most endangered native breeds. Despite being a terrier, a Sealy is not so active as his terrier relatives, but he will always be ready to play with his people. Sealy’s coat is medium long and is usually all white. Although he won’t shed much, in order to look his best, he will need regular brushing. Lagotto Romagnolo is best known for being the Italian “truffle dog”. He is rather medium sized than small, but we just needed to include this adorable breed for its lovely appearance and personality. They are active dogs that have distinctive wooly curls covering their body. Although they seem like they require a lot of grooming work, they actually shed only minimally and may only leave little strands of hair every once in a while. Lagotto does indeed have the teddy bear appearance of other small breeds, but he is much stronger and can endure longer and harder exercise. Is this dog just wonderful, or is it just us? 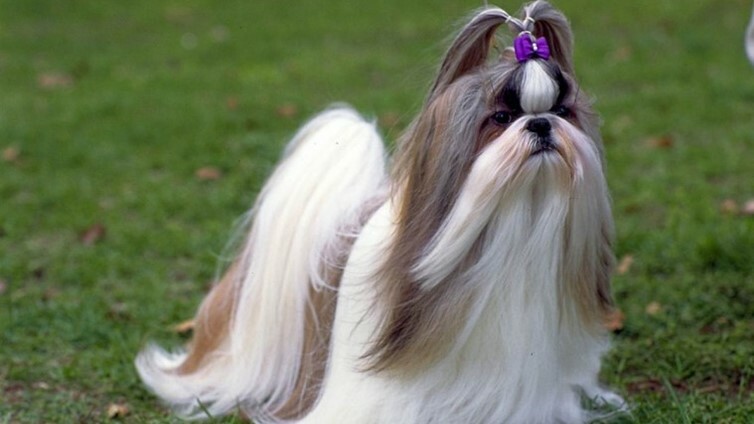 Were these 30 non-shedding breeds interesting to you? Check out the video above of more small dogs that don’t shed and read more about breeds that don’t shed.